The Empowering You Show oct 9, 2014 with Teresa Keenan ! The Empowering You Show blog 2 oct 9 - 2014, with amazing guest Teresa Keenan and Annie van Eijkeren, your Host ! In this extremely interesting and Empowering show many questions in the Psychic Realms are answered !!! Listen to this show to get Empowerd by the answers to many questions and find out about several modalities that Teresa Keenan works with. Teresa Keenan is a beautifully gifted Psychic, a Rahanni Teacher, Reiki Master, Integrated Energy Therapist, Sound- and Crystal Therapy Practitioner, and as a Quantum Healing Hypnotherapist she performs Regression Therapy, also she is a Spiritual Awareness Instructor. Teresa is here for you to assist in your personal Spiritual Healing and guide you on your path with all the tools she has at her disposal. She is a real great Therapist who is very knowledgable and very experienced in many areas, and she transfers all that into her sessions to Empower her clients. During the show Teresa explains how it can be prevented that blockages happen again after first having been removed, and how people can be Empowered to be in charge of their lives and own mental and physical Wellbeing again. * How do we block ourselves, rather then that the blockages are created through outside energies ? * What is Regression Therapy and how does it work ? Is it scary ? * Will I remember from the Regression what I saw about my past lives ? How does this heal me ? * How are Karma and Karmic Debts connected to Regression Sessions ? * What is Rahanni Healing? Is it like Reiki ? If not what is it then ? * What kind of a feeling does a Rahanni Healing give you ? * Can Rahanni, like Reiki, also be done remote ? And can the Rahanni attunement be done remote ? * What Wedding Packages does Teresa offer ? * Indian Head Massage ? What is that ? How does that work ? What does it do ? Am I going to fall asleep during it ? * Whats is Integrated Energy Therapy, where does it come from, how does it work ? 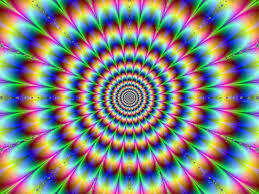 * If during a session the negative energies are removed, does it leave a void ? * Is being an Empath something that only a few have, or is it something everybody has in them ? If you have questions about this show please go to http://empoweringyou-in-mbs.webs.com/ and leave me a message there. Please allow 48 hours to respond due to time difference. Thank you for listening to the Empowering You Show ! 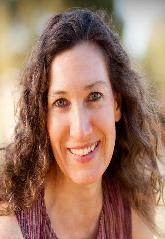 BLOG Empowering You Show october 2 - 2014, guest Judy Graybill. BLOG Empowering You Show october 2 - 2014 with guest Judy Graybill. Judy is a Change Agent who leads people to find clarity, resolution, and Empowerment by breaking down the complex matters into practical strategies, which is what we all want so that we get what is going on! After having reached her lowest point Judy changed her life and started from inside herself. This knowledgeble, honest and giving lady has many diploma's and certifications, she knows how to create peace of mind. Today's topic is stepfamilies, stepparents, stepchildren, te exes, how this all can create many angles and issues, and discussing several ways of how to Empower people to deal with this the best way possible for their situation. People could call live in to the show, and we had 2 callers who received most wonderful help from Judy. Want to know the details of these 2 stories ? Relisten the show ! Judy gives them some amazing advice ! 70% of all stepfamilies fail .... Having come out of a disfunctional relationship in a stepfamily Judy came in touch with The Stepfamily Foundation through which she decided to become a Stepfamily Coach. Now she helps many stepfamilies to avoid breakups with her Special Coachingskills. Although she doesn't necessarily always meets with the children involved she does try to help them first and formost, as the children are more often then not the point stepfamilies break apart over. Blending different parentingstyles is a very big issue during the coaching sessions. Talking to the children can be a very enlightning and Empowering experience in the process, as they are usually very perceptive when observing the adults fight, and can help out the therapist by painting the situation in a very simple uncomplicated way. 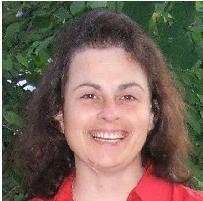 Judy also has experience in working with stepfamilies who have an autistic child. It's a new approach, a new "recepy", a new set of tools used for every family that asks for her help, as the needs are very specific every time again for that one special new family. Research has shown that there are 66 different forms of stepfamilies, not to speak of different backgrounds, characters, educationlevels etc. Over time Judy has developped a Special Formula for her coaching. This way she deals with the 3 most important items causing problems in stepfamilies : 1) the exes, 2) Parenting Styles, 3) money. Listen to the show to learn what it is and how it works !!! At what point can and should stepparents and biological parents meet and communicate about these things? So if you would like to have help with your situation please go to Judy Graybill's website to contact her there. Boundaries. A word that is used often enough, but have you ever stopped to consider what your boundaries are or indeed how to go about creating them? Why should you even create them at all? The implementation of boundaries come as a result of love and respect for your own personal time, energy, skill or worth. They place a protective barrier around you, and you choose what or who crosses the perimeter according to your professional, personal or family needs. A good place to start when defining your own boundaries is to determine what you value. Your values are your guidelines for life based on what is important to you personally. Along with these values, you will have a set of rules around how you desire these values to be met. An example of a value is success; an example of a value rule is ‘in order for me to feel successful I need to work in a heart driven career’. Once you have identified your values, you can then create boundaries; rules around what is acceptable or not for you to live according to what is important to you. Your values, or rules around your values, may change over time or require adjustment; however at any given time they will provide you with a tool for quick decision making according to what feels right and important for you in accordance with how you wish to live your life. Indecisiveness can often find us in over our heads, wishing we could back pedal and do things differently. Boundaries allow you to check in with yourself to make sure you are living according to your own needs. And that does not make you wrong, it only makes you, you. On top of that I would say : NEVER EVER have boundaries to what YOU can do and accomplish ! You can do anything you set your mind to !! Real power lies in the doing : taking action into your day. 1. Taking action enhances self belief. It provides you with evidence that Yes! I can do this! 2. Accomplishment makes you a stronger person. You will become used to doing what needs to be done and carry a sense of personal pride. 3. Taking action erases stress. I don’t know anyone who loves the state of procrastination. 4. Taking action erases feelings of regret. You won’t be left thinking ‘if only’, nor will you miss any opportunity that comes with taking action. 5. You let go of ‘wondering’ and embrace ‘knowing’. You will have proof that you can do it along with the benefits gained by taking action. 6. You’ll learn. Taking action teaches you ‘on the job’. Regardless of your result, you still get a result! 7. You will see fear is often an illusion. Mostly, fear does not develop into a tangible threat; it only resides in our mind. 8. You will ignite the Law of Attraction. Remember, like attracts like. You act, the Universe acts too. 9. Achieving is a buzz. You will carry a sense of accomplishment and self-satisfaction. 10. You will desire to take action again, tomorrow. You’ve done it, you’ve broken through barriers of fear, procrastination, self doubt or laziness and it feels amazing! You know you are capable, you know you are stronger than your fears; you know inaction gets you nowhere. You will more easily and effortlessly move into taking action again, when necessary! I want to inspire you daily! To live a life of positivity, you have to start thinking differently! I want to put the light back into your eyes. I want you to know how beautiful, powerful, graceful, wonderful, amazing, intelligent and unique you are to all the world and I want you to know that you are here on PURPOSE. I want you to know that you don’t have to live a life of mediocrity. Any negative stories you've told yourself in the past are just that, stories. You can change those around just as easily and have your stories have happy endings. No matter your circumstances, your past experiences, your present life, NOTHING is permanent and all can be changed with the beginning of a thought. A thought of your magnificence. A thought of your life having purpose and meaning. NONE of us are an accident. I matter. You matter. Now let's make your life matter! 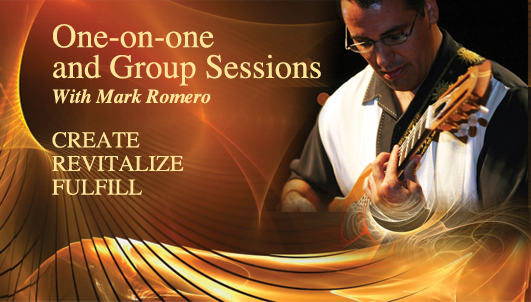 Mark Romero, is a internationally renowned Sound Healer, Energy Expert and Transformational Leader. His music has been scientifically proven to raise the vibration of listeners lifting them above the negative influences in their environment, and the limiting thoughts and beliefs that are holding them back from creating more harmonious and purposeful lives. Through the masterful combination of his music, energy transmissions and transformational processes, Mark has helped thousands of people around the world move past their blocks and barriers and step into their unlimited power and ability to create more successful and fulfilling lives. 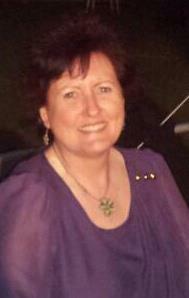 Janet Russell has been doing psychic readings for the past forty years. After a near death experience in 1993, she found that she had a renewed gift for communicating with people who have passed over. Janet is known worldwide for her insight, credibility and on target predictions. She is psychic medium, spiritual advisor and television host for one of New York’s top cable access programs titled Beyond the Unexplained. The show has been seen across the country for years. Janet has made guest appearances on many cable programs with interviews that range from her predictions for future events to communicating messages from people who have passed over. She has also co-hosted radio programs on the paranormal as well as television specials in Britain. She recently expanded the scope of Beyond the Unexplained by launching two new televised shows titled When Spirits Connect and The Spirits Within. She has worked with police investigators on such cases as the infamous Katie Beers kidnapping, a case where a nine year old girl was miraculously found alive seventeen days later. Janet had been the only psychic to state that Katie was chained by the neck, describing the area where Katie was being held. Janet has also worked with the New York Police Department on several murder cases during her career. Teresa Keenen came into the full awareness of her true purpose in her life when she was goingthrough a very traumatic and stressful time in her life. She had always felt the urge to help others and wanted to be a nurse, but Source/God and her higher self obviously had other ideas. Besides being a beautiful psychic Teresa is a Rahanni teacher/practitioner, Reiki teacher/master/practitioner, Integrated Energy Therapist, Sound and crystal therapist, Quantum Healing Hypnotherapist ( Dolores Cannon Method ) Past life regressions, and Spiritual awareness instructor. Teresa purpose in life is to spread the word about healing and unconditional love, and to assist in your personal healing process. Her first success story was herself. After reaching her lowest point struggling to make ends meet and have a home, Judy transformed her life starting inside herself. Her advanced degree is in Sociology. She is also a Certified Stepfamily Coach, speaker, and writer. Her clients’ praises include being “knowledgeable”, “honest”, and giving them “peace of mind”. Visit her website now to connect with Judy. Your opinion matters, but how do you share it with others in a way that gets the best possible results? Rejection, humiliation and even abuse can easily be prevented if you learn how to talk to people. Through good communication you bring into your life wealth and fulfilled desires as you connect with others and let them help you. Who is this book for? Everyone. Combining science and spirituality, the science of brain and behaviour and the knowledge of chakras, within these pages lies locked the secret understanding of your own heart. Are you an author of written content? Learn the secret of how to make your writing more appealing and harder to forget. Grab your audience and keep their attention. Are you in business? Learn how to ensure your business associates get you. Are you a man (or a woman) with a dream? Learn to share it in a way that lets others help you make your dream come true. Don’t worry if you weren’t mentioned in the examples above. Find your own purpose and the book will help you to achieve it. Learn how to share your opinion with others and connect. From the scientifically proven methods that utilize your brain’s natural learning patterns to the recognition of your repeating spiritual patterns, this book will guide you to an understanding of your relationships in a way that you would never have expected. Communicate through chakras for clearer response. Find out what NLP (Neuro-Linguistic Programing) can teach you about the different languages men and women speak. Learn how it is possible that flat or house you live in can affect your relationship. Discover the closely-guarded secret of the brain-stimulating pattern my books follow, to help you communicate more clearly to anyone. Compare the findings of scientific brain studies on learning and reacting to the ages-old wisdom of chakras. To those who have followed the Soul Shackles Series from the beginning it should not come as any surprise to see the similarities. Connect your brain and improve your efficiency in learning, creating and communicating with others. Learn the secret of why induction and inter-balancing complicates our communication with the people closest to us and makes our relationships unique. Understand how alternative therapies really work and what to expect from them. Learn the basics of Neuro-Linguistic Programming which even spies and government agencies are using every day. Understand the concept of universal love and why it is crucial to you whenever you meet anyone. Learn about spontaneous telepathy and how to recognise it and use it. 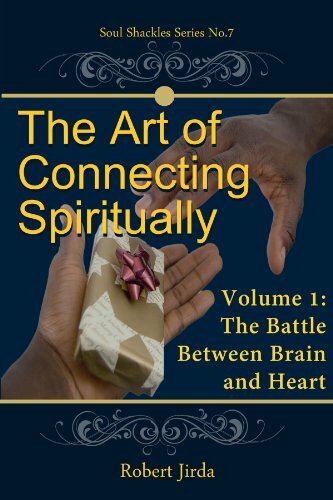 You will find all this and much more in the first volume of this series that helps you to connect spiritually. So scroll up and click Buy Now and start learning how to avoid embarrassment and get the life you desire, as you learn to ask for what you want in the right way and have others finally understand you.